Gary Cameron, an award-winning photojournalist whose career spans over three decades, many based in Washington, D.C., talking about the day he photographed the White House illuminated in rainbow colors following the historic Supreme Court ruling legalizing gay marriage in the United States. Gary's iconic image of the White House is part of a collection of fifty-six VERY LARGE prints beautifully printed courtesy of AdoramaPix for the Boyd's Station benefit raising funds to support the Project 306.36 Visual Documentary Grant. Check out the video to see just how LARGE these prints are for this benefit. They are stunning! Bid now on Gary's amazing photograph printed on Fujicolor Crystal Archive Deep Matte paper sized 27.5 in x 17.25 in on sheet size 30 in x 20 on the Boyd's Station Benefit Print Auction now with bidding ending on Dec. 18th. Check out the rest of the collection of images from amazing photojournalists who have graciously donated their work to support the Boyd's Station Visual Documentary Grants. 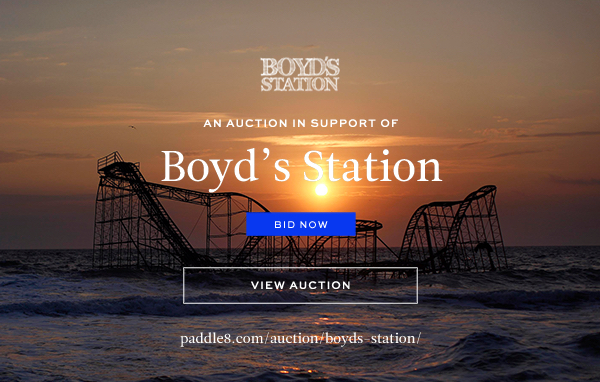 Older PostBOYD'S STATION BENEFIT AUCTION BID NOW!